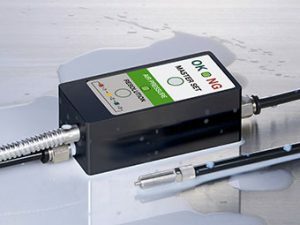 Metrol’s Touch probe is resistant to radio wave interference compared to conventional infrared-ray communication and not affected by obstacles and coolant. 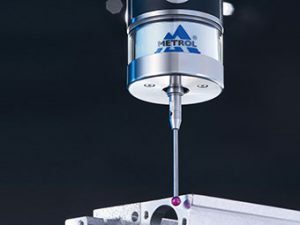 Achieving 1μm repeatability with four-point support mechanical system. 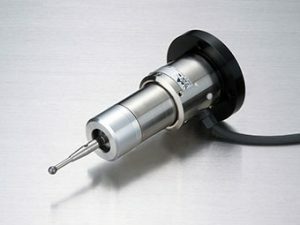 Tool setters can be used to detect wear and breakage and correct thermal distortion as well as to preset tool length. No “Existence detection” signal, but “Precision seating confirmation. 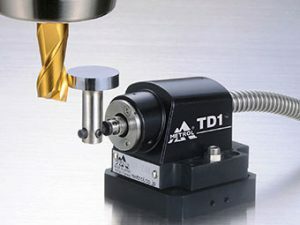 Effectively prevent CNC industrial machined defect products by detecting workpiece floating due to cutting chips.